The office of the Commissioner of Major League Baseball PAC donated $5,000 to the political campaign of Cindy Hyde-Smith, who is currently running to be a Mississippi state senator. Baseball fans across the country were immediately upset over this donation to a political candidate who is dropping race-based controversy in her wake. Hyde-Smith has been tagged by many as being racist based on her casual statement about attending a public hanging and past affiliations with racist institutions. In the wake of these allegations against Hyde-Smith, several major corporations have demanded a return of their donations to her political campaign. Remarkably, the MLB made their donation after the allegations against Hyde-Smith, leading to a higher level of ire among baseball fans. Hyde-Smith’s denials of being a racist were remarkably insincere, yet MLB donated to her cause anyway. Thankfully, after a couple of days of being roasted throughout the baseball community, Big Baseball requested a return of their money. The indignation of baseball fans over this donation stems from the optics of MLB seen as supporting a racist political candidate. While this anger is well-meaning, it’s only partially applicable in this instance. All one needs to do to find the true reason behind this utterly despicable political donation is to ask one basic question: Why would Major League Baseball be interested in a political candidate from the state of Mississippi? Hint: It doesn’t have anything to do with what candidates have in mind for the state in which they’re running. As evidenced by their post-public hanging statements donation to Hyde-Smith, Baseball didn’t give a flipped bat about her political leanings beyond one issue, which exposed its motives as being just as contemptible as we suspected. The purpose behind the donation to Hyde-Smith, and other politicians, is Baseball’s long-standing intent to deny paying minor league baseball players a living wage, and to limit the amount of time they’re paid for. Baseball owners recently lobbied Congress, and for their generosity, received a federal law that would guarantee minor league players a minimum wage. While that looks admirable on the surface, they also tacked on stipulations that players would only be paid for a 40-hour workweek, receive no pay for playing in a sixth or seventh game in a week, for participating in spring training, or for the work they must do to remain in shape during the off-season. The MLB argument is based on their insistence that minor league players are “seasonal workers”, similar to those hired by department stores for the holidays. Minor leaguers are paid by the parent baseball club that sponsors the minor league team, and most make around $1,150 a month. While I would love to play baseball for a living, I wouldn’t want to do it for wages that – per federal law – keep me at near-poverty levels. While MLB has requested a return of their money from the Hyde-Smith campaign, and its feverishly issued PR statements about its commitment to being color blind may look like a victory, it’s important to note Baseball hasn’t requested refunds from any other of the politicians they bribed in the pursuit of personal legislation. 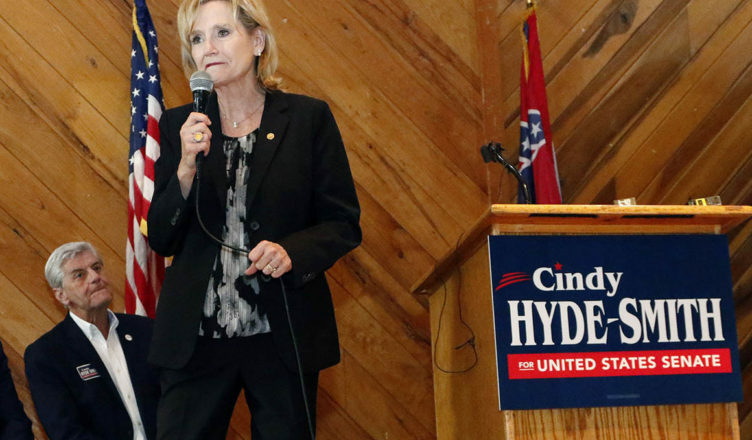 Baseball backed away from Hyde-Smith because she has a rotten smell about her, but make no mistake, it will continue to buy politicians on both sides of the aisle, as long as they favor bosses over labor. Yes, Baseball was supporting a possibly racist political candidate. That said, MLB wasn’t backing racism, but it was winking at it, in the name of greed. MLB should stay out of politics period. Nuff said. With all the happenings in baseball, from HOF to sabermetrics to players performance to salaries for players, not to mention free agents and trades, Oscar chooses to talk politics. Regardless of MLB motives I find it appalling that this blog would go there. I hope it is the last of that type of commentary. Do you get it, Scott! Package, I thought you followed LADR for a long enough period of time to know that I don’t shy away from discussing politics here when MLB or the Dodgers stick their noses into political waters. Unsure why you’re surprised by today’s column. This isn’t the first time I’ve written about MLB’s refusal to pay a living wage to its employees, and as long as they refuse to do so, I will continue to voice my opinion on it. Just to further inform you, while Scott is the owner of the LADR blog, he isn’t my father, nor is he my boss. I think it fine for you to voice a displeasure about MLB but when you voice it over particular candidates it becomes political. Make no mistake I am not a Mississippi voter so it matters not to me who wins but I do not think this is the place for political rhetoric. If this is your blog then OK, go ahead a say whatever you want and I will look elsewhere for a blog to participate. If not, maybe you or Scott needs to tell me what the pecking order is here on LADR? Scott what is your pleasure? Appalling is a strong word, but I definitely don’t come here for political talk. it’s not a big deal. it’s just one article. How often do you see anything politically related in our articles? Rarely. Sometimes every once in a while something political ties into something baseball related and Oscar writes about it. He always does so in a respectful manner. I have no problems with anything he’s written. I have 100% trust in him to write in a respectful tone which he always does. Does this mean LADR is becoming some kind of political blog? Again NO. Again, it’s just one article. take a deep breath and relax. We’re not changing the direction of the site. This is a Dodger blog. That’s why you don’t see any political talk in the comments anymore because I told the couple of trouble makers who were constantly stirring stuff up to leave the site. Ever see Boxout or Melton anymore? No, that’s because this is not a political site. However this one time, Oscar wrote something that ties into politics and did so in a very respectful and informative way. So again, relax, and take a deep breath. BTW, yes Oscar is free to write whatever he wants because I have 100% trust in him. He works very hard over here and has earned that right. Like I said, MLB should keep its nose out of politics. Period,,,,,that being said,,,,I am joining the lets get rid of Friedman movement,,,,,,but I seem to be the only one in the band…. You are a good guy. Thanks Pack…actually Oscar, MLB followed the lead of the Giants owner, Johnson and his wife donated money first and MLB followed his lead. He and his wife donated 2700 apiece. They both probably regret the decision big time. MLB is trying to get their money back. In actual baseball news, the non tender deadline is the 30th. Dodgers have a few candidates for that including Yimi Garcia who basically has been useless the last couple of years. I would also think Rocky Gale might be non tendered too, the hot rumor though is that the D-Backs might put Goldschmidt on the market. Article in the Athletic has some teams trying to get Arizona to package Grienke and Goldschmidt to lessen the compensation. Also mentions Cano being on the market. He can play 2nd! His contract is appallingly bad. Same article talks about how Friedman’s trades never seem to amount to the Dodgers surrendering anyone of high quality, with Peraza and Schebler cited as standouts. Did they also cite the fact that none of the players the Dodgers received in that trade are still in the organization? Peraza and Schebler may not be high quality, but they are very serviceable players. The other player in the trade from LA, Dixon, was picked up on waivers by another team. The Dodgers may not surrender high quality, but they rarely get it back either. They have been lucky with a couple and gotten decent production out of players, like Taylor, but they have made some real stinkaroos too. So Andy and Farhan were far from the genius’s everyone has made them out to be. The pieces in place when they took over were already championship teams. They needed tweaking to get to the big dance, but they are still a wallflower. By the way, they got more money this year for losing the series than they did last year. World Series shares were announced today and a full share for the losers was over 262 thousand. The article was much more complementary than your opinion post. Naturally. It is only an opinion, but it is full of facts. Most pundits like Friedman. So they have no vested interest in the team either unless they write for the Dodgers. Fans are far more critical. Keep kicking over those rocks, Oscar. The minor leagues are like the plantation and the owners sit on the veranda sipping their mint juleps. 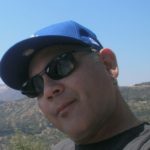 Politics in a sports blog, a very good way to blow up that blog. True, but it involved MLB and the Giants, so it is newsworthy. And most likely a dead subject very soon. Braves brought back McCann and signed Donaldson. Dino Ebel will be hired as the new 3rd base coach per Dodger Digest. 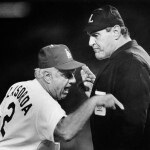 Did the same job for Scioscia with the Halos. Cron picked up off waivers by the Twinkies, and Friedman says he is reluctant to move Byrnes from his present position since he is so vital to player development. It’s being reported by Pedro Moura of The Athletic that the Dodgers will hire Robert Van Scoyoc to be the new hitting coach. He is currently the Dbacks hitting strategist but before that he was an hitting consultant for the Dodgers. He is the one who worked with Chris Taylor on revamping his swing when he first came to the Dodger organization. He also has worked with JD Martinez and several other players. Long live the launch angle! Great, so Taylors K rate can soar even higher. I would rather see them hire someone who preaches contact. Same old approach, same crappy results. Chisenhall signing with the Pirates. Tomlinson no longer a Giant. He signed a minor league deal with the D-Backs. Lots of minor moves around the majors right now. Riggleman hired as the bench coach for the Mets. Dodgers have had preliminary talks with DJ Lamahieu’s agent…..